Happy Friday! Hope you guys are having a great day and are gearing up for the weekend. 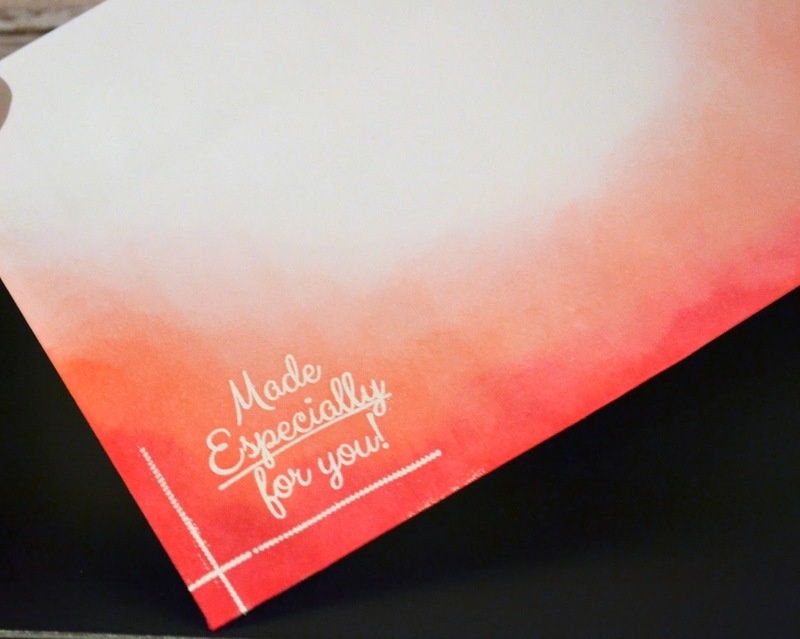 As you can see, this project is so simply but makes SUCH a different on a plain ole envelope. 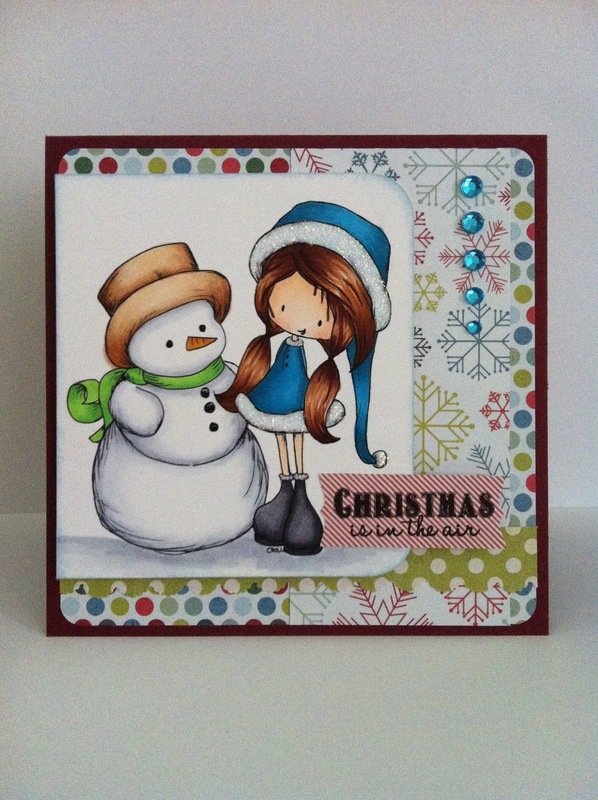 I first stamped the sentiment from "Filled with Love" with Versamark and head embossed it with Tim Holtz Detailed White embossing powder. Once I let that cool for a few seconds, I then went to town with ink :) Tim Holtz Distress Ink in Spun Sugar, Worn Lipstick, Picked Raspberry and a whole lot of Blending! And that completes the envelope. Just think of what the recipient would say once they got this out of the mailbox!! Makes me so excited! Thanks for joining me on this release. I'll be back soon and hopefully I'll be feeling 100%. Hello Everyone and Good Evening! This week has been quite a world wind of the baby bringing home a small cold from Day-care to me getting a HORRENDOUS chest cold from it. I somehow got through work on Tuesday but crashed that night and spent all day Wednesday and this morning in bed. Just this evening I got enough energy to get out of bed. Anyways....onto the real reason y'all are here, Day #2 of the Scrappy Moms August Release. 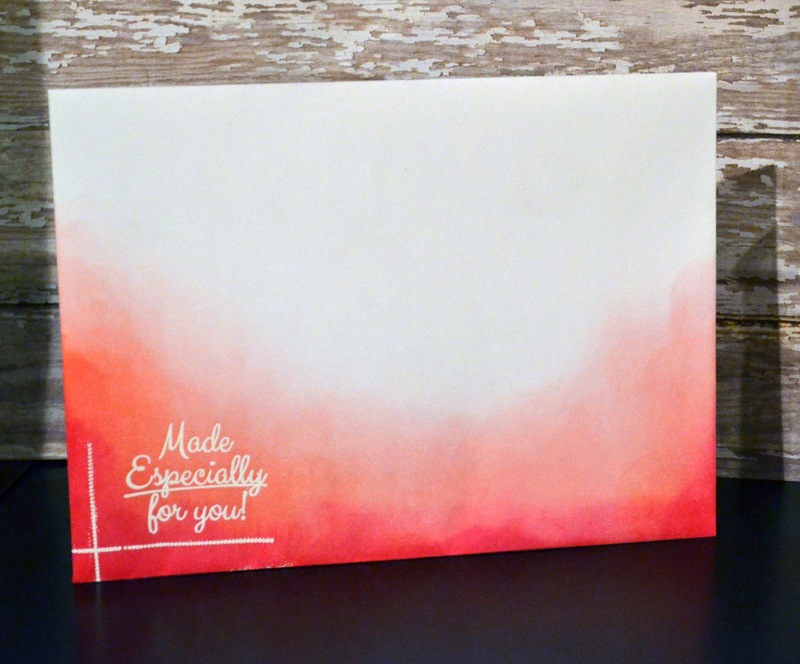 Today, I'm creating a card with some watercoloring and the new "What can I say?" 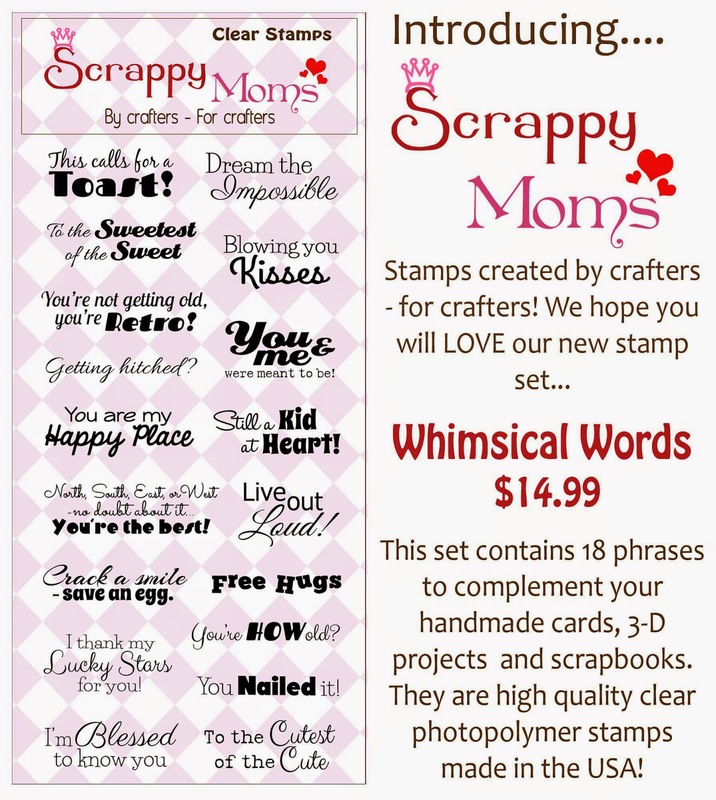 Stamp set by Scrappy Moms. 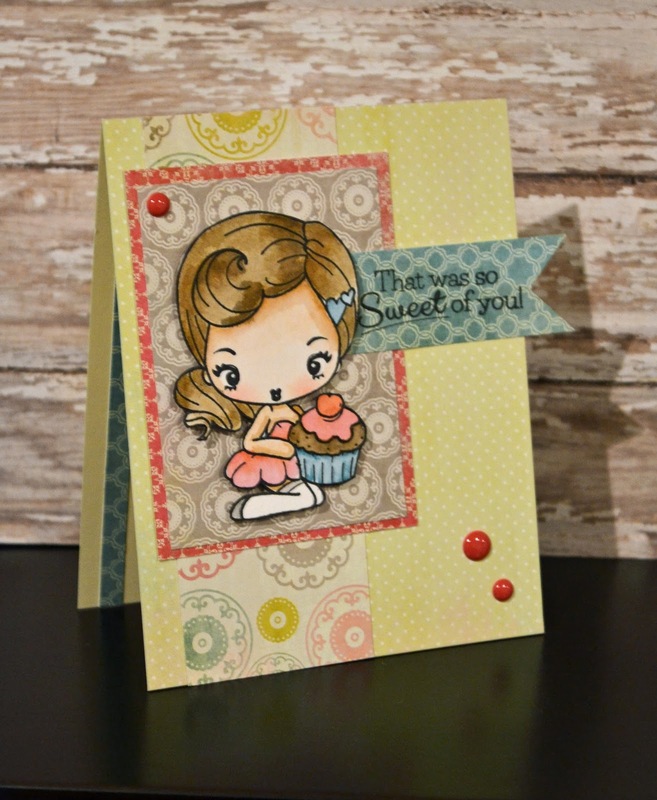 I used Tim Holtz Distress Markers to watercolor my The Greeting Farm Stamp from the Super Secret Stamp Club. And thats its for my project today. Its a fairly simple card with a lot of pattern paper, a few enamel dots and some time/patience coloring (i'm still really new at watercoloring). I'll see you guys back here tomorrow to share my last creation for the release. For today's card I'm keeping it Very simple and using the What Can I Say? Stamp set. I created the background of my card with Blending some Tim Holtz Distress Inks in Tumbled Glass, Salty Ocean, and Faded Jeans. I then die cut the MFT Sun Rays from Yellow card stock and heat embossed it with some clear glitter embossing powder and topped that off with 2 coats of regular clear embossing powder. All of the sun rays are popped up on Foam adhesive and white heat embossed my sentiment on a cloud cut to of vellum from the Lawn Fawn Spring Showers Die Set. Hope you guys enjoyed stopping by! Be sure to check out the other design teams projects by clicking their name in the right side bar! I'll be here tomorrow with a project showcasing these stamp sets! In the mean time, please head on over to the other design team members blogs by clicking on their name in the right side bar to see their amazing projects! Hello Everyone and Happy Tuesday!! 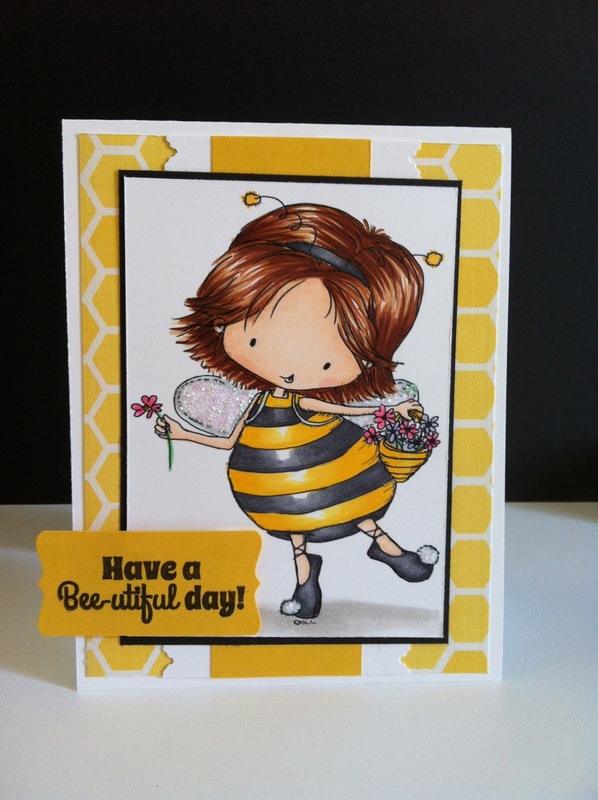 When I heard that Tiddly Inks was having a design team call, I was so hoping to create some new cards to enter in. 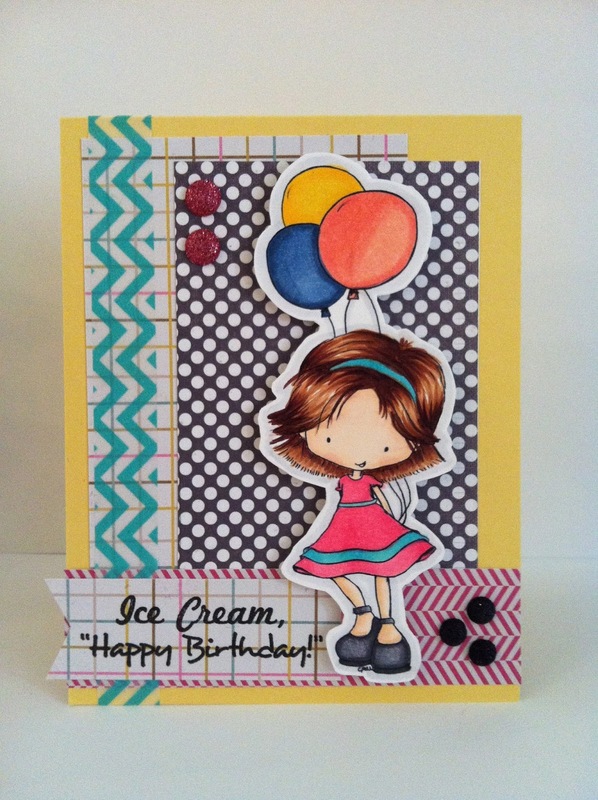 Unfortunately, that didn't quite happen but I didn't want to try out, so I'm using some of my Favorite projects created with Tiddly Ink stamps. Hope you guys enjoyed this revisit of some of my favorite cards created with amazing Tiddly Inks stamps! Scrappy Moms Terrific Tuesday Challenge - You Got CLASS! Hello Everyone! So glad you could stop by my little corner of the internet today :) If your new to my blog, welcome!! I hope that you like what you see on my blog and that it will help you be inspired. Sorry but I do not have a video for you guys today but I will have one later on this week! Lets get to the reason you guys are here today, Scrappy Moms Terrific Tuesday Challenge. If your new to our challenge, we would love for you to play along with us! TTC, as we like to call it for short, happens on the 1st and 3rd Tuesday of each month. 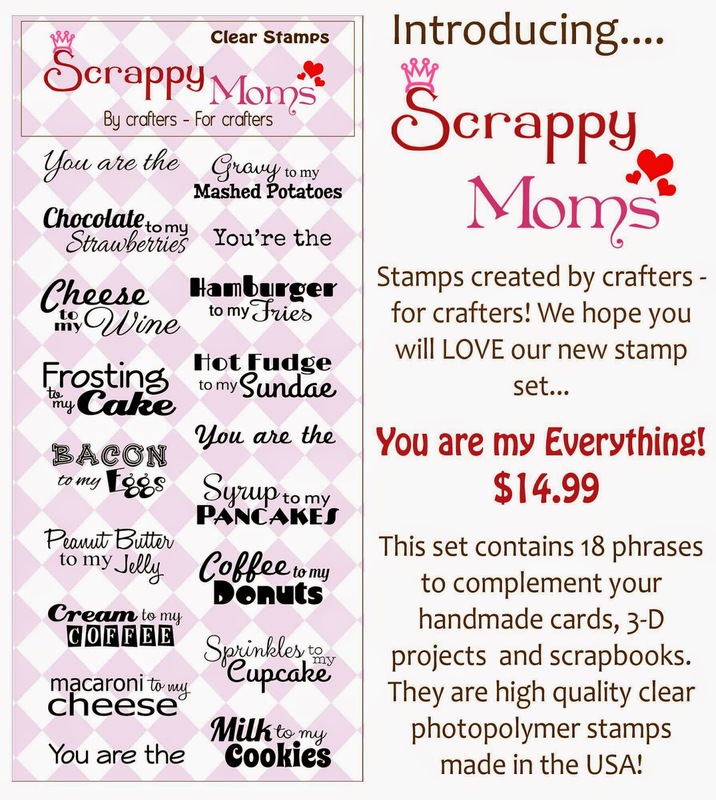 Be sure to check out the Scrappy Moms Blog to view all of the amazing designs created by the DT and to enter in for your chance to win a Scrappy Moms Stamp Set of your choice! This weeks challenge is titled "You Got Class!" and we are gearing up for Back to School! Here is the card I created. The color combo on this card is a bit different then what I am use to but I really love how it turned out! It even could be used as a masculine card, and that I love since I have a very hard time with those. Hope you guys enjoyed this card. As I mentioned earlier, please head over to Scrappy Moms Blog to check out the other design team project and join in on the fun! 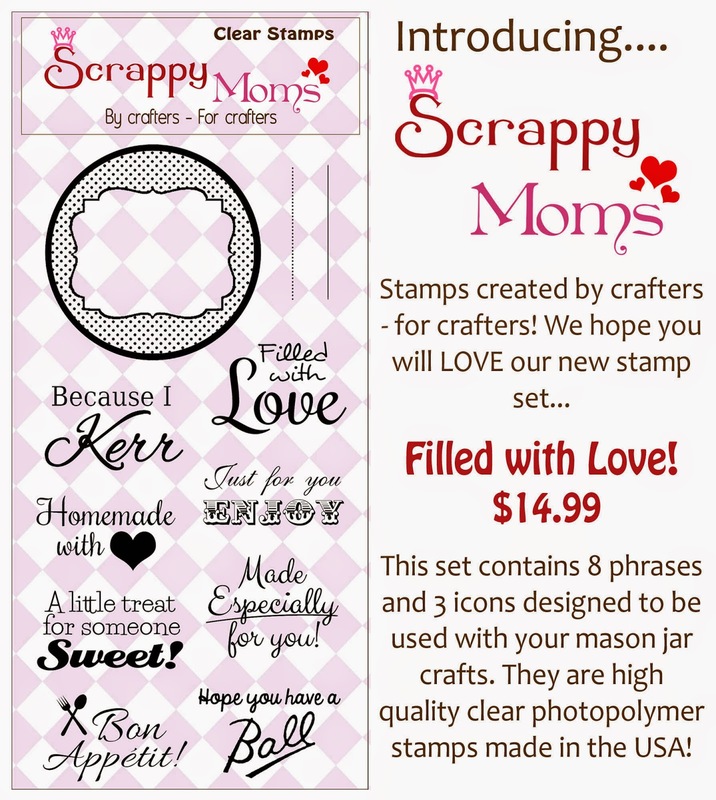 Today is my last day showcasing the 2 brand new stamp sets by Scrappy Moms. If you missed seeing them, take a look down below. 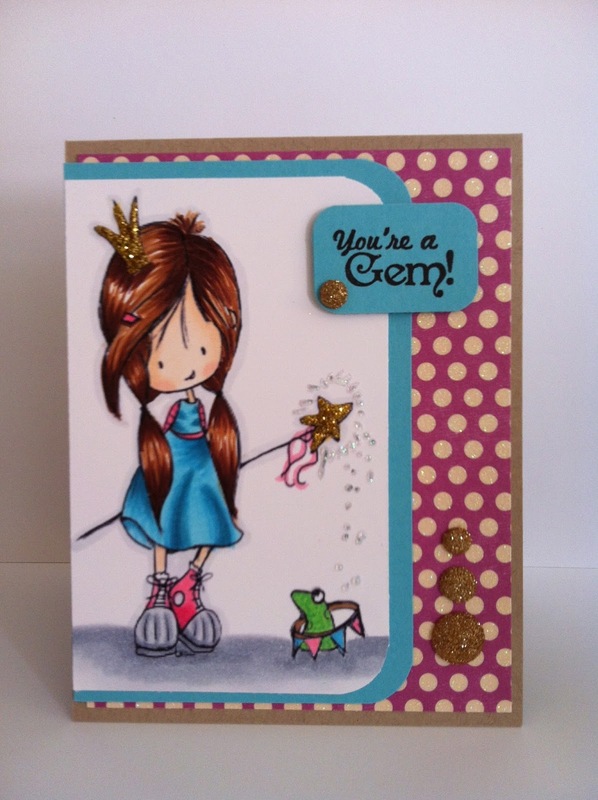 Today, I'm getting around to showcasing the "You are my Everything" stamp set! 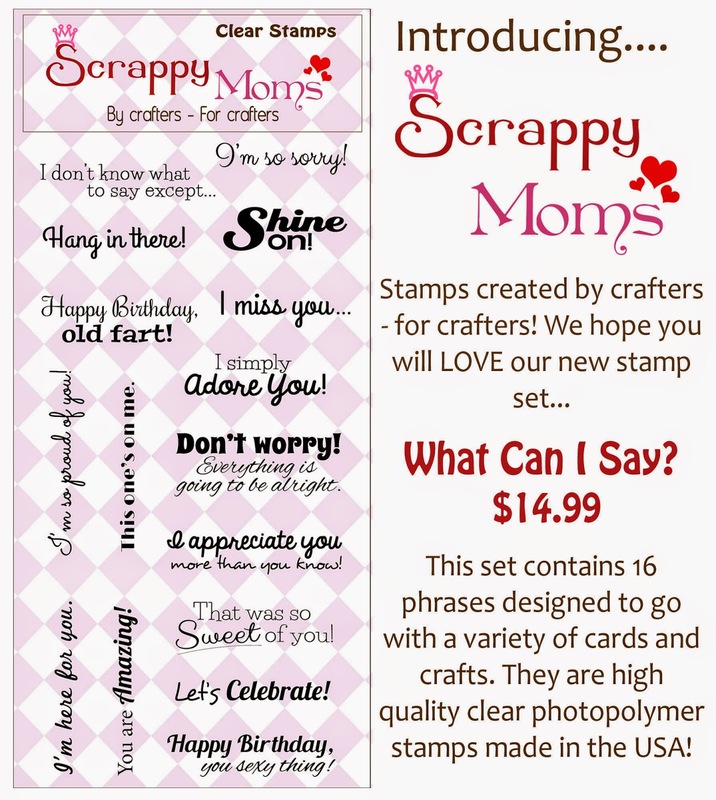 I just love all of the sayings on this stamp set! Below, I have a video of how I created my final card for the release! 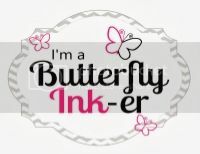 Be sure to check back soon, as the Scrappy Moms Terrific Tuesday Challenge is right around the corner and I'll be a guest designer for Butterfly Reflections, Ink this month!! Hooray!